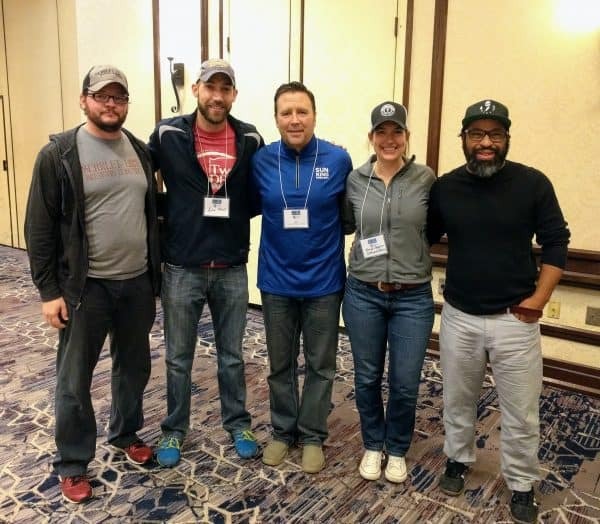 Breweries gather for the INCBC welcome breakfast on Saturday, March 25, 2017 in Indianapolis. 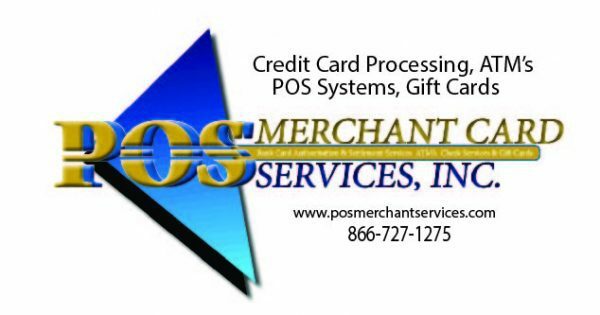 The 3rd Annual Indiana Craft Brewers Conference, presented by POS Merchant Card Services, took place this past weekend, March 24 – 26 at Indianapolis Marriott East. 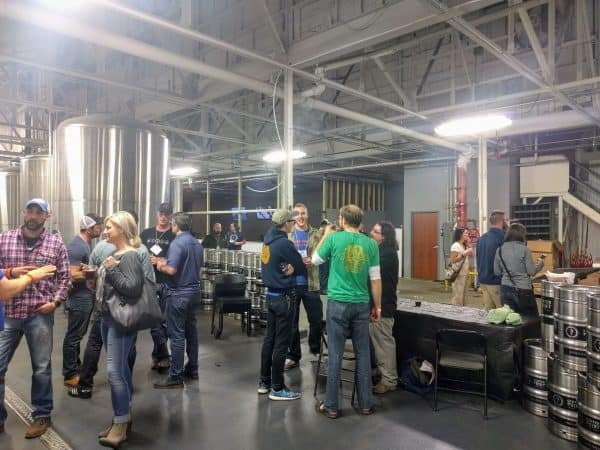 Centerpoint Brewing Company welcomed Brewers of Indiana Guild members for a Friday-night social presented by Amoretti Flavors. 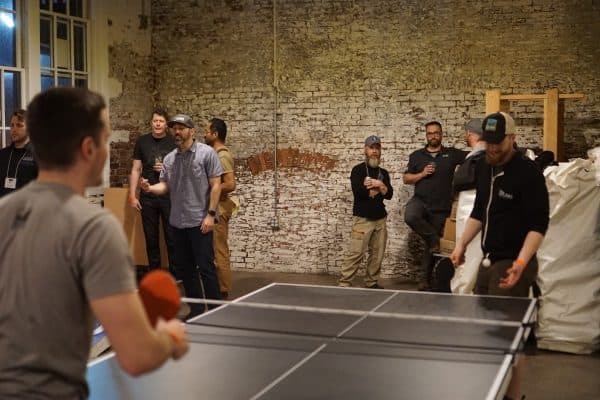 Indiana City Brewing Company also hosted a Friday-night social with games and live music, presented by Briess Malt & Ingredients. Photo by Kevin B. Hundreds of brewery, affiliate, and brewery-in-planning members of the Brewers of Indiana Guild convened for social events at Indiana City Brewing Company and Centerpoint Brewing Company on Friday night, followed by a day of educational sessions presented by industry professionals focusing on technical brewing, business operations, and regulatory issues. Pete Batule, V.P. 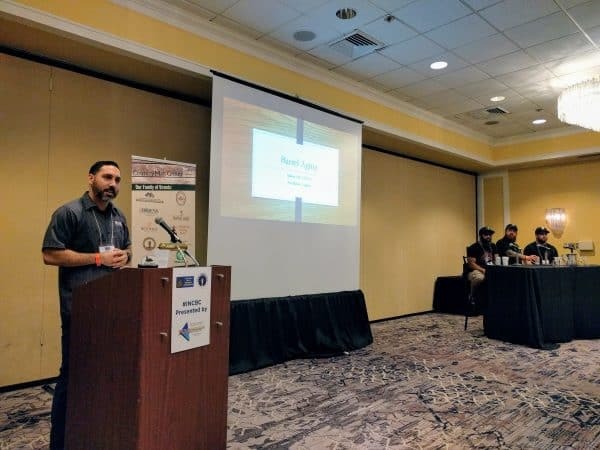 of Brewing Operations at Upland Brewing Company, presents a panel session on barrel aging with Drew Fox (18th Street Brewery), Austin Smythe (Against the Grain Brewery), and Andrew Hood (Sun King Brewery). 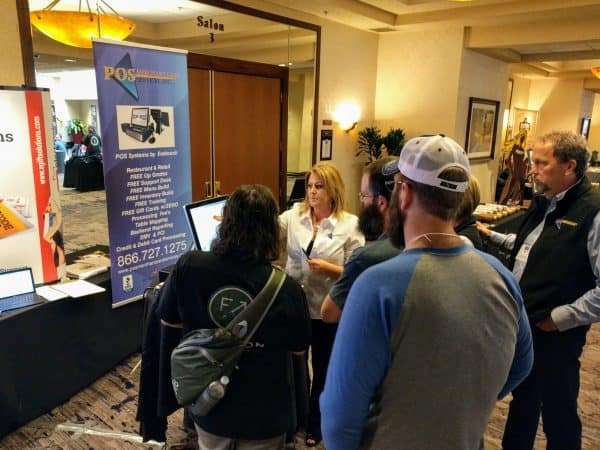 Members also enjoyed the opportunity to engage with dozens of affiliated businesses in the trade show throughout the day, and learn about off-flavors in beer from Sun King Brewing Company. 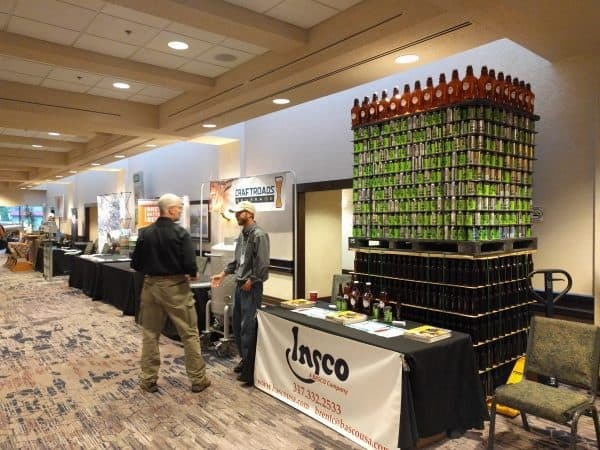 The trade show featured three dozen businesses affiliated with the Hoosier brewing industry. On Sunday, the Guild held its annual meeting, featuring a presentation from Purdue University on lab testing services and its forthcoming Minor in Fermentation Sciences, as well as legislative and financial updates and other important member news. The following members of the Board of Directors chose to leave the board at the end of their term. We thank them for their years of dedication and volunteering to support the mission of the Brewers of Indiana Guild. Presentations and other resources from the conference, including the Guild’s annual Stewardship Report, will be available later this week in the members’ forum. Not a member of the Brewers of Indiana Guild? Join today for access to resources and invitations to next year’s conference.